Looking to get into the home solar game? Great! We are excited to partner with you and help you achieve your clean energy goals. 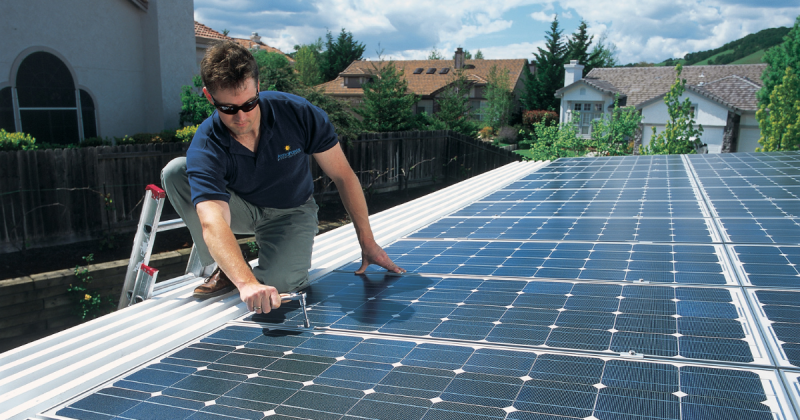 Here’s the big decision you must make: Who’s the right solar installer for you? It’s easy to get distracted by promises of low- to zero-upfront costs, rebates, and reduced electrical bills. But when it comes down to it, who’s going to give you a fair price for a home solar system and offer the service and support you need? Before choosing a solar installer, ask yourself these questions. Have I done my solar homework? No, we’re not talking about your middle school science homework. We’re talking about doing some basic research on home solar generation. You should find answers to questions like what’s the average energy output of a solar panel, how much electricity do I use in my home, what’s Michigan like for solar output, and is my home and its location ideal for solar? Your co-op is great place to start with your research. Just contact us with any of your questions! How does their pricing and services compare to other installers? We as savvy consumers shop around for cars, flights, clothing, and everything else. Why wouldn’t you shop around for the right solar installer? When requesting a quote, make sure you get a clear breakdown of everything from installation and component costs to permitting and construction timelines. Then ask around. How do they stack up against their competition? Do they really know how Cherryland’s member-owned solar programs work? While putting up solar panels is the job of the installer, hooking them up to the grid and setting the energy rate is up to your co-op. So, it’s important that you and the installer know how we do things. Regardless of whether they claim to know how our solar programs work, it’s always a good idea to check with us. The easiest way to know if a contractor is delivering on their promises is by seeing what their current customers are saying about them. Check out reviews on Google, Yelp, and their business’s Facebook page. Ask for a list of customer references in Cherryland’s service territory. You’ll want to compare the experiences of customers who’ve just had a system installed and those who’ve had it for a while. If someone’s had a noteworthy experience, they will let you know. Should I talk to a lawyer before agreeing to anything? Yes! They can break down the agreement and help you make an informed decision.